Thanks to the real estate bust and lower rents, Newbury Street has gotten some fantastic local color lately in the form of independent boutiques. 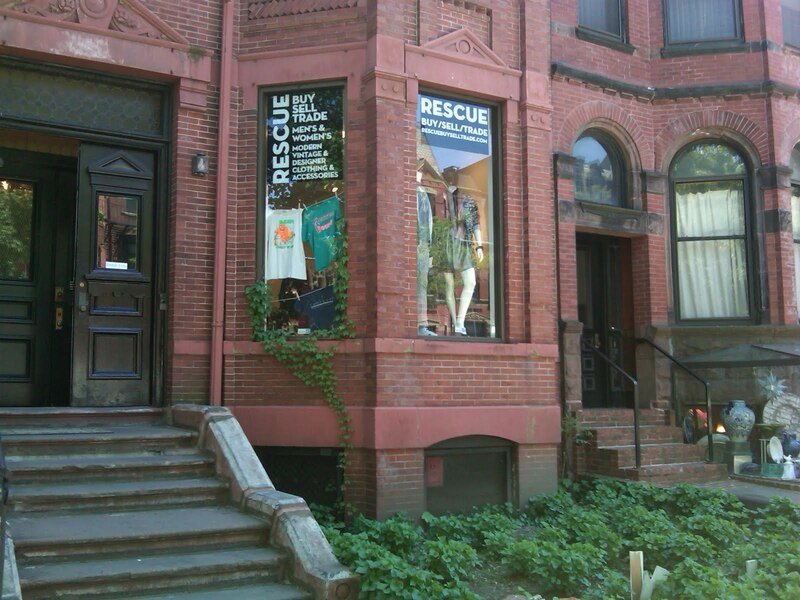 First there was Anabelle Jones, then Suneri, and now Rescue, the buy-sell-trade shop originally from Allston, at #244. I spent my lunch break perusing the racks, which is my excuse for not posting anything earlier today. (See? I wasn't ignoring you!) There were plenty of H&M and no-name pieces mixed in with a Marc by Marc Jacobs dress, an Acne top and a pair of J Brands. What I really appreciate about the shop, though, is how well-edited the selection is. No wading through racks and racks of crap to find that one gem. The owner hand picks pieces to make sure everything fits in with the young, modern vibe of the store. 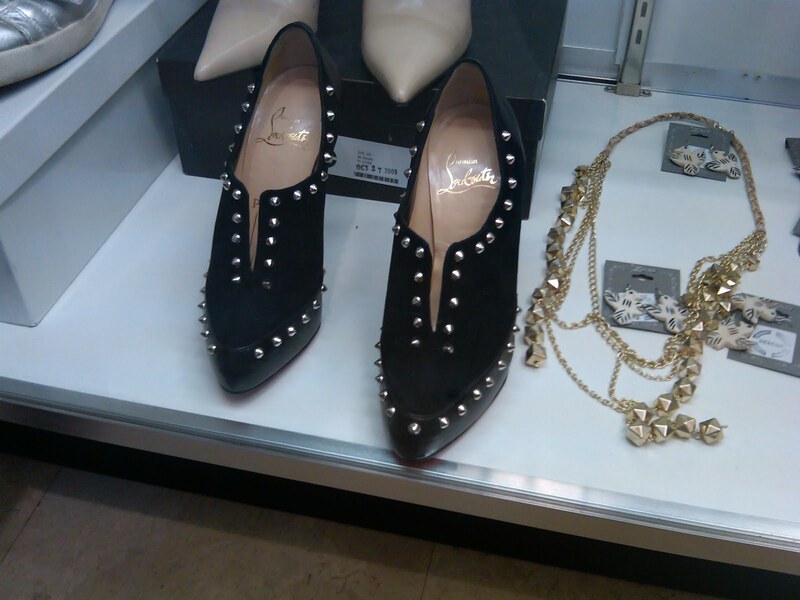 That's right - they're studded platform Laboutin booties. But they couldn't be my size, right? I mean, I have freakishly small feet. But wait! They're a 36. I can work with that if I add heel grips. I walked around the store in these for a good five minutes, trying to convince myself they fit, but I knew in my heart it wasn't right. I could wear them from a car to a restaurant without crumbling in pain, but that was as far as I would get, and these beauties deserve so much more. They're $200 (I'm sure they retail for around $1,000) and in near perfect condition. So, here is my plea to all of you - if you're a size 36, give them a good home! I could sleep so much better knowing that I lost these to a loyal reader. And someone should also pick up the floral-print wayfarers that were too big for my face! My visit to Rescue wasn't a total loss, though. I went back to the office with this very cool mirror and suede bib necklace for $16. P.S. - Go sign up for Rescue's mailing list, and they'll send you a 25% off coupon. Then those Laboutins will only cost you $150. I saw the outside of the building and immediately knew this was a store on Newbury! Ugh, sometimes I really miss Boston. I used to find these great things in some second-hand shop in Central Square. I have no idea if the store is still there. Nice necklace, such a good shot of it, too! Who took that picture?